Kamel Hothi, Advisory Board member for City Sikhs, has received an OBE from Prince Charlesfor services to Diversity in Banking. 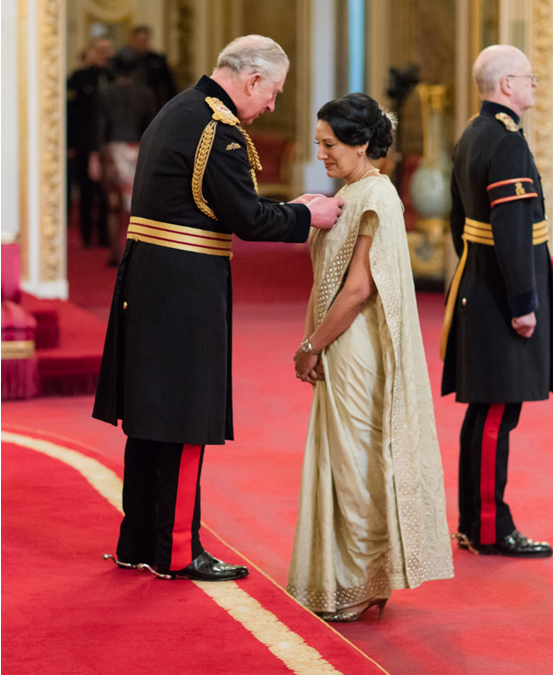 The investiture ceremony took place in the Ballroom at Buckingham Palace on Thursday 8th February 2018. City Sikhs is one of the leading Sikh organisations in Britain with over 6,000 members, and it gives a voice to progressive Sikhs in the UK. It is currently involved in several important projects, including the commemorations for the 100th anniversary of the Representation of the People Act 1918 which finally gave the vote to women over the age of 30.